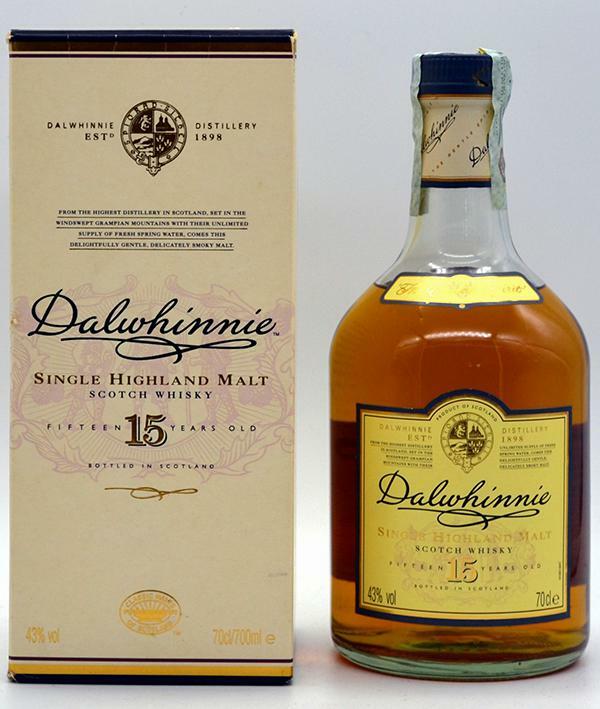 Known as 'the honey malt', Dalwhinnie 15 is a characterful whisky from the Highlands of Scotland. 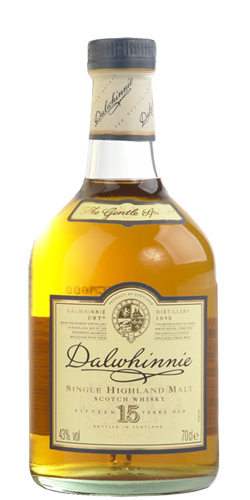 It combines a rich and delicious sweetness with the complexity and full-bodied nature of long cask maturation. On the nose, there are heather honey, barley sugar and hints of spices. After a gentle arrival with fruity sweetness, the taste turns slightly bitter and dry - but well-measured. The influence of the oak is restrained, providing a long and spicy finish. Overall, a Single Malt with an excellent price-quality ratio that is easy accessible to the beginner. Tasty, harmonious, a beautiful honey malt. Unjustly completely underestimated standard - recommended. The current version is slightly fresher and more sparkling in the nose. The older version is more set and has more depth. This is probably also something of the "Old Bottle Flavor". Also interesting is the wax note from the old version. There is no trace of this in the current version. The impression of the nose continues in the mouth. I'll just say it like this. The current version is a little louder and cheekier and the old version is quieter and more confident. But the old bottling would probably have done a few percent more well. Overall, I like the older version better. 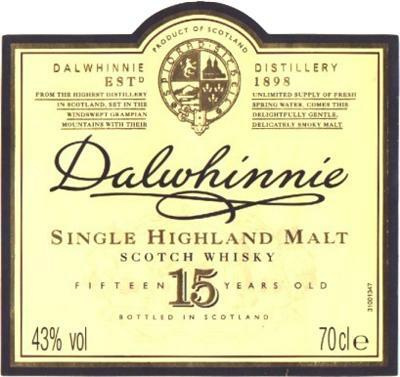 But the current Dalwhinnie is a solid standard. 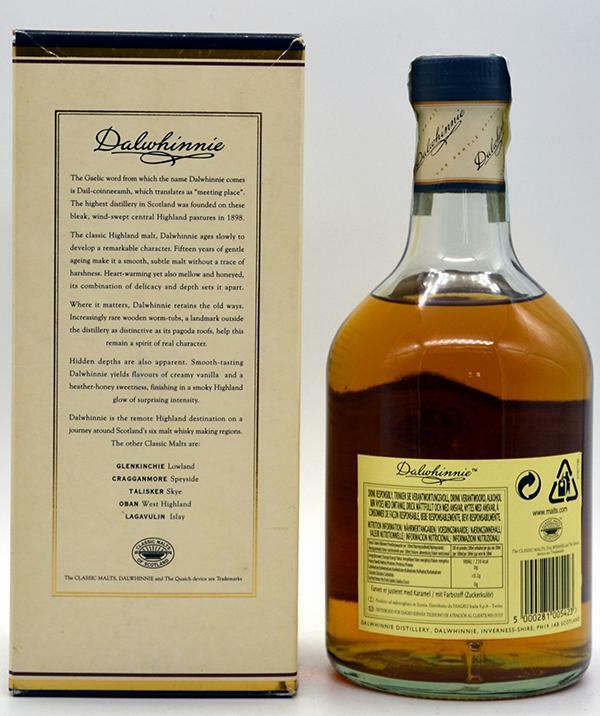 Dalwhinnie's Bestseller - a Classic Malt of Scotland - a mature, very neat Highlander!